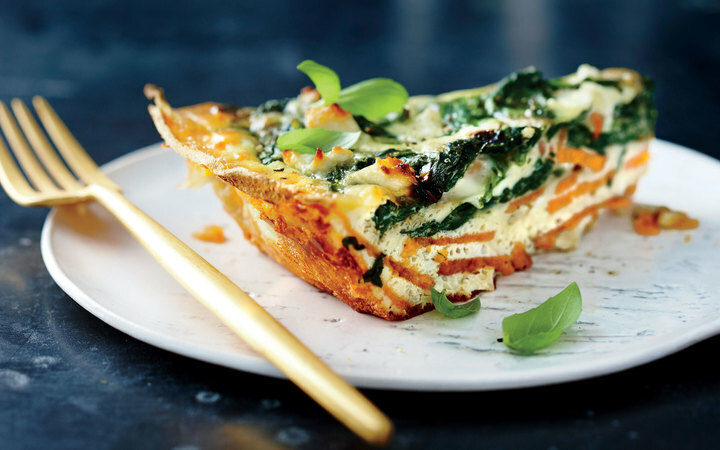 The simple, scalloped shell made from thinly sliced rounds of sweet potatoes make this version of a popular brunch (or supper) dish gluten-free. Choose potatoes with comparable diameters to create uniform slices for the easy-to-make crust. A mandoline makes slicing quick and precise, but a sharp chef’s knife will work too. You can also slice the potatoes in the food processor by using the slicing blade.